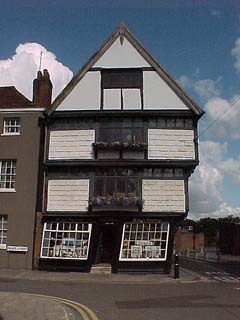 My webpage on Canterbury buildings, set up in 1999, looks at the interesting architecture of Canterbury, Kent, England, where I live, especially the mediaeval architecture. This interest was first inspired by Stephen Scoffham’s book called ‘Houses in Canterbury’ published by the Canterbury Urban Studies Centre, St. Alphege Lane, Canterbury. The website is not maintained as much as it could be but still has information which might be of interest to visitors. A website from 1999, precious thing indeed. Thanks – I’m pretty ancient myself!